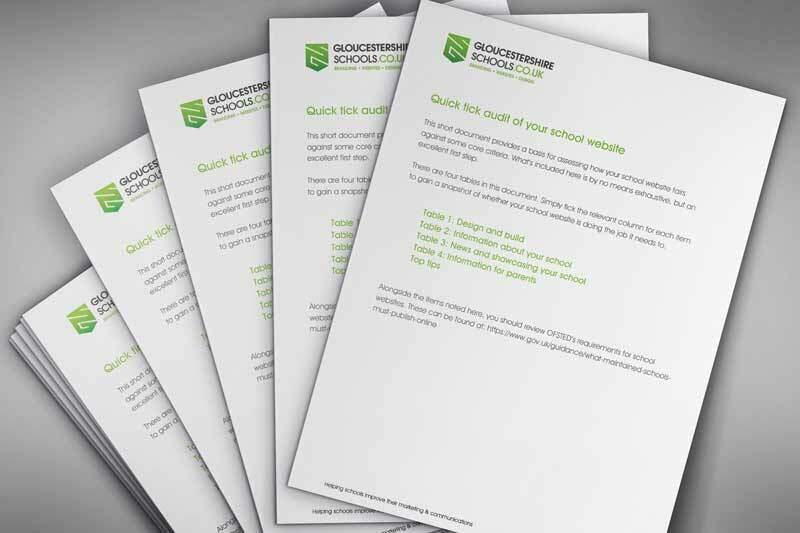 School email newsletter solutions - Cost effective. Hight Impact. Insightful. Contemporary school email newsletter design: A dynamic school e-newsletter, that provides a suitably branded extension to the school’s communication. 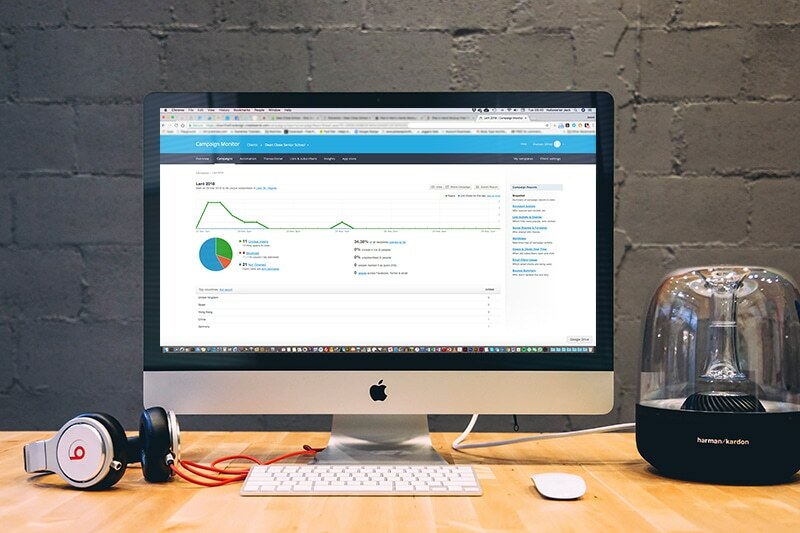 Insights into recipient interest: In depth statistics measuring recipients, click through rates, bounce rates, etc. Design of temporary supporting webpages: A recent example being an interactive Advent Calendar. Dean Close School is a leading co-educational day and boarding school in Cheltenham, which provides continuity of education from age 2+ to 18. Tracey Colbert-Smith, Head of Marketing, Dean Close School. To design and manage the end of term school email newsletter communications for the Pre-Preparatory, Preparatory and Senior Schools. The email software ensures the emails are automatically adapted to the recipient, whether they’re viewing on PC, tablet or smartphone. 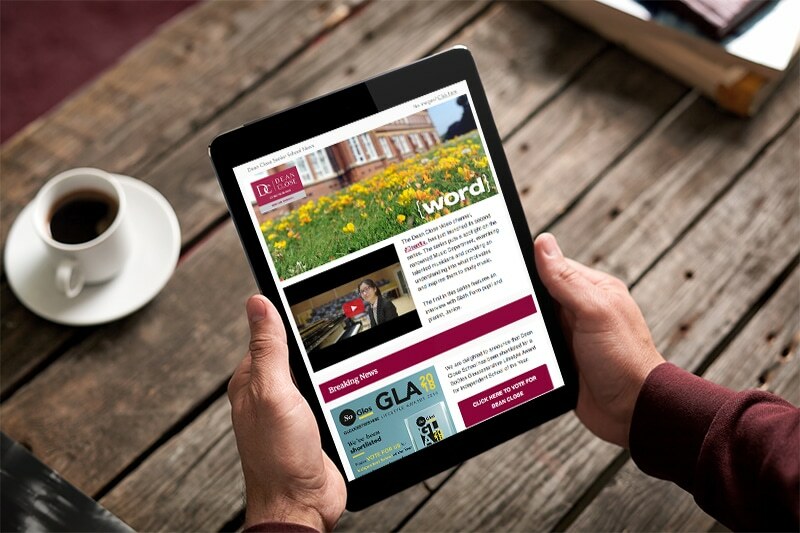 We continually evolve the style of the school email newsletter, ensuring the design feels up to date whilst adding extra touches to suit seasonality. The school marketing team provide us with raw email data from their CRM system, which we cleanse to remove duplications and to ensure all previously unsubscribed recipients are filtered out. 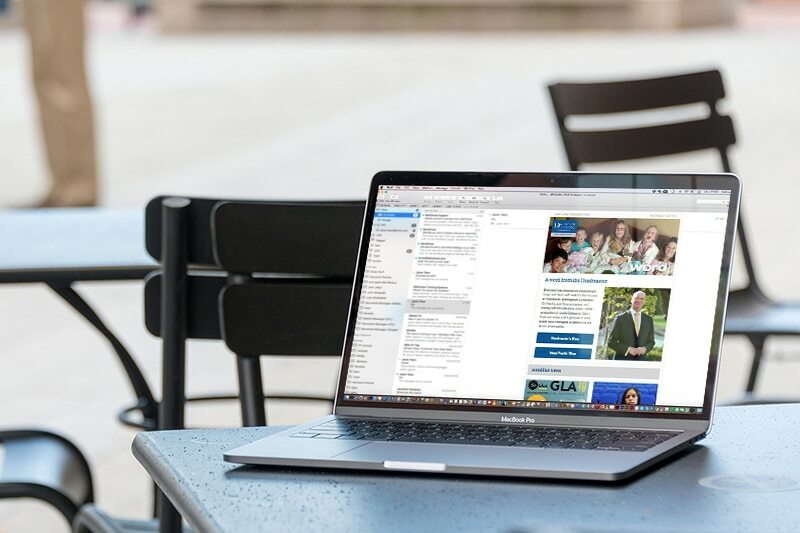 For the email itself, we design and structure the emails linking out to web pages within the Dean Close website, with a number of rounds of testing to ensure suitability. The embedded links provide the information that enables us to review popular stories. In support of a recent mailing we’ve also designed and hosted a temporary advent calendar.